The wet foot, dry foot policy stated that Cubans caught at sea (with “wet feet”) trying to make their ways to the United States were sent back home. On the contrary, Cuban who reached American soil (“dry feet”) got the chance to stay in the United States and later would qualify for permanent residence. Cubans have received favorable treatment from the United States for over 20 years. This policy was put in place in 1995 by Bill Clinton and the Obama administration has ended the program on January 12, 2017. According to statistics published by the Homeland Security Department, more than 118,000 Cubans have presented themselves at ports of entry along the border since 2012. The Department of Homeland Security has also eliminated Cuban Medical Professionals Parole Program. Since 2006, the U.S. has approved more than 7,000 applications from Cuban doctors, nurses, and other medical professionals, as stated by the U.S. Department of Homeland Security. The end of this visa-free path for Cubans is directly related to the reestablishment of diplomatic relations with Cuba and other concrete steps toward the normalization of U.S.-Cuba relations. Cuban nationals will no longer be able to take advantage of the so-called wet foot, dry foot policy. There have been mixed reactions after the termination of the policy - some Cubans express disappointment with the abrupt end of the policy, while others believe that policy was not fair to migrants from other countries. The elimination of this policy means that from now on, Cubans, like any other migrants, may need to apply for a visa at a U.S. Embassy or Consulate. 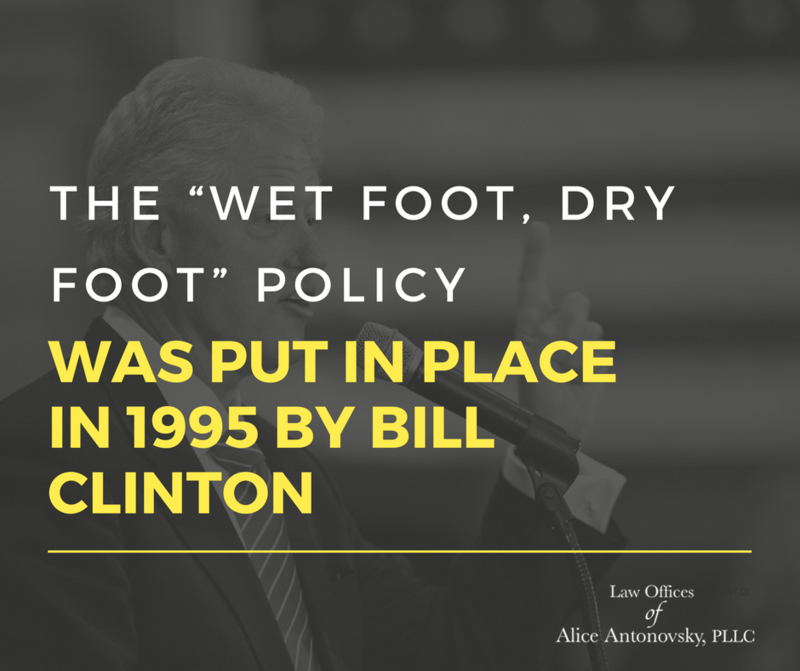 The end of the wet foot, dry foot policy does not mean Cubans are no longer accepted in the United States. 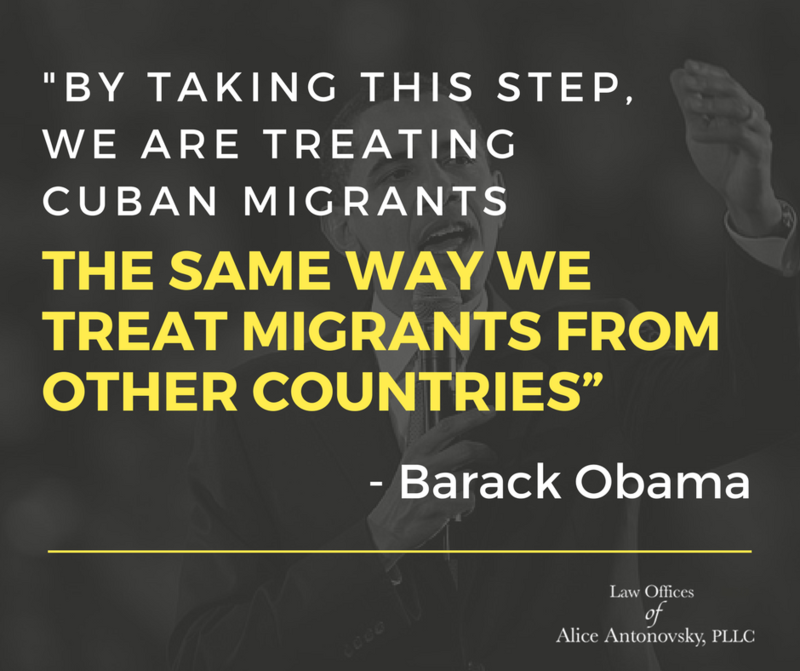 Under the new policy, Cubans will still be able to come to the United States. 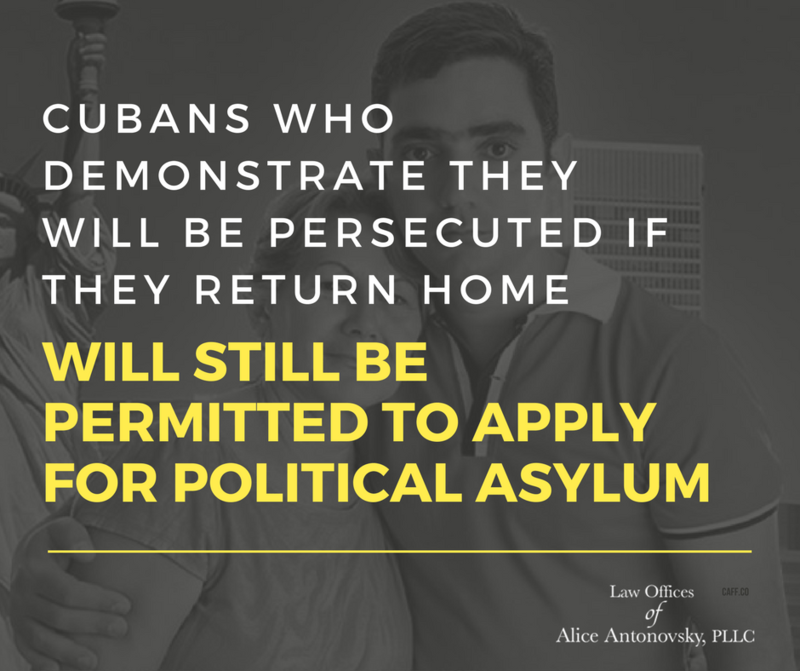 In fact, Cubans who demonstrate they will be persecuted if they return home will still be permitted to apply for political asylum in the United States, just like anyone else. Officials also affirmed that the changes would not affect a lottery that allows 20,000 Cubans to come to the U.S. legally each year, according to the Associated Press. 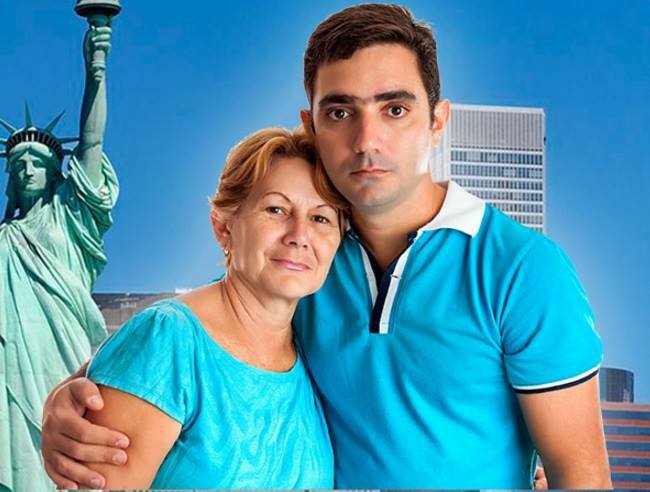 What Now for Cubans Who Want to Immigrate to The U.S.? If you are a Cuban wanting to immigrate to the U.S. in 2017 or you want to be informed about the changes to the Cuban immigration policy, we recommend you contact an experienced team in immigration law. With our expertise in helping people achieve their immigration goals, we can improve the odds in your favor. Make your American dream come true by talking to one of our experienced lawyers who can provide you professional legal advice and guide you through the process to legally reside in the United States. Please feel free to contact us and schedule a personalized and confidential consultation to help you choose the right visa category for your case. Call us at (718) 924-2896 or use any of the contact forms on our website.